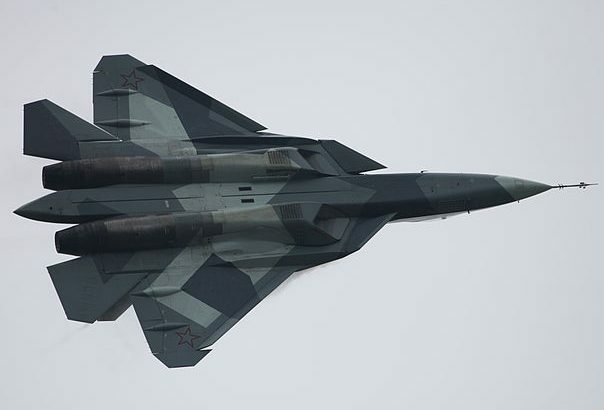 Russia will soon join the very exclusive stealth club with the imminent arrival of its own fifth-generation fighter, the Su-57. This week news agency Tass quoted an air force general who revealed the first planes will be delivered in 2018. 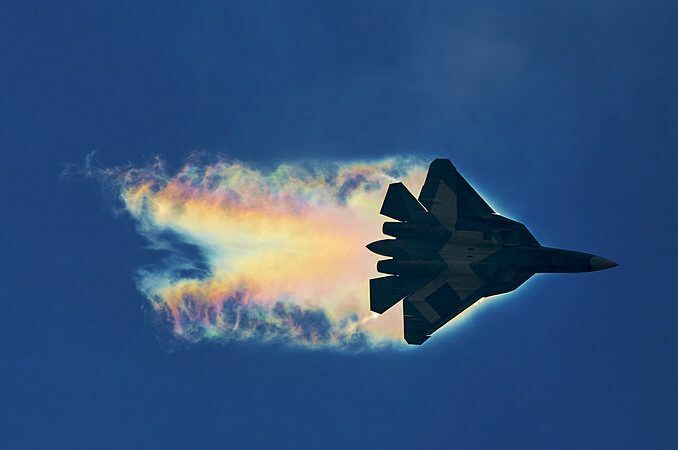 According to Colonel General Victor Bondarev the PAK FA now has the “serial name” Su-57 and pilot training for it begins once it’s adopted by the air force. 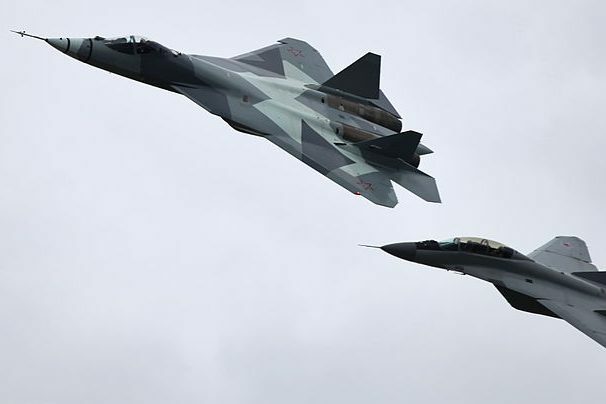 How many Su-57’s will be built wasn’t revealed but a few years ago Russian officials boasted up to 200 single seat stealth fighters could boost the air force by 2020. This isn’t happening anymore. To mark the Su-57’s arrival Tass published an interactive web page explaining its capabilities. 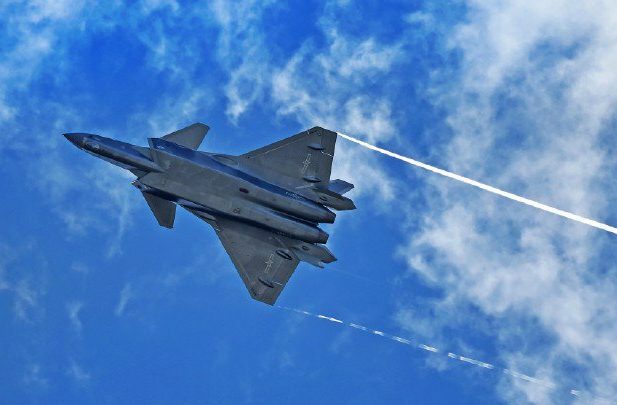 News of the Su-57’s debut comes barely six months after the Chinese J-20 was reported to have entered service with the PLAAF. A trio of J-20’s even conducted a flyover during a military parade in Inner Mongolia attended by President Xi Jinping. The J-20 is considered a peer of the F-22 Raptor flown by the US Air Force (USAF) but this can be debatable. Intense scrutiny of its rare public appearances has brought to light some startling facts. Its airframe, for example, bears a strong resemblance to the experimental Soviet-era MiG 1.44 and there’s a consensus much of its technology is either borrowed from Russia or stolen from the US. The PAK FA or Su-57’s existence is less controversial although its brief history has its fair share of wrinkles. Like many cutting edge Russian weapon systems in the Putin era, the Su-57’s beginnings are rather murky. There isn’t clear proof if it was first conceived in the waning Gorbachev years or during the troubled 1990s when numerous military programs went fallow for lack of money. But its original designation stems from a program called, in English, the Perspective Aviation Complex of Frontline Aviation, or PAK FA. A prototype of a new Sukhoi fighter with stealth characteristics–having a fuselage made of composite materials coated in radar absorbent paint–was ready by the 2000s and in 2010 Russian media publicized its maiden flight, referring to it as the T-50. Reports of a joint venture with India for co-production was announced soon after. The aircraft then called the PAK FA T-50 was hailed as more than equal to the F-22 even if it wasn’t in production yet. The Chengdu J-20 is believed to have entered low rate production. China is developing another twin engine stealth fighter, the J-31. It’s obvious the PAK FA from 2010 until 2017 had the familiar characteristics of the Sukhoi Design Bureau’s third-generation models but with a few key differences. Its airframe was laid out to diminish the radar cross section, hence the appearance of being a “flattened” Su-30. Russian media claimed its radar cross section is infinitesimal compared to the well-known Su-27/30/35 yet never elaborated whether it was on par with American stealth. But as more and more scrutiny was directed at the Su-57’s prototypes it became apparent the plane wasn’t as cool as the Russians hyped it. There’s even a growing consensus the Su-57 doesn’t make the cut as a fifth-generation twin engine fighter. When American writers assess the Su-57’s limited stealth characteristics they often conclude it’s inferior to the Raptor and the Lightning. So maybe it’s better to call it a 4++ fighter? Like other Russian fighters before it the Su-57 was built to hunt for and then close in on targets. Hence the heated emphasis on its maneuverability, e.g. each of the Su-57’s Saturn engines have thrust vectoring nozzles that allow it to execute twists and turns impossible for most fighter aircraft. This is why it’s deemed superior to most fourth-generation models, which are the best Europe and Asia can muster against it until the F-35A proliferates in the 2020s. The Su-57 is reported to have almost equal flight performance to the F-22, with a cruising speed of Mach 2 and a maximum speed at Mach 2.8. Its operational range with its two Saturn AL-41F1 engines, the same as an Su-30 or Su-35, is 5,500 kilometers. Yet its engine type is an unforeseen problem for the Su-57. The Russian Air Force plans on installing a new power plant because the current Saturn AL-41F1’s aren’t without defects and this poses an unacceptable risk to their precious “fifth-generation” fighter jet. Nobody knows for sure exactly what kind of avionics the Su-57 carries. But other details have been ascertained and corroborated by multiple sources. The Su-57’s dimensions and wingspan allow it to function as a stealthy multirole fighter with a serious electronic warfare component. Rather than a single radar installed on its nose cone, there’s an L-band active phased antenna array housed in it. There are two more arrays on either side of the cockpit and an additional pair on the wings. Russian media claim these sensors allow the Su-57 to detect as many as 60 targets 400 km away. This, of course, might be a small exaggeration. It needs to be pointed out the beyond visual range (BVR) sensors for both the F-22 and F-35 are slightly better than the Su-57. A lot of the Su-57’s cockpit features haven’t been revealed but the pilot will have a new G-suit and helmet. The weapons at his disposal include a single 30mm NNPU-50 cannon and a selection of supersonic air-to-air missiles. The Su-57’s broad airframe leaves ample room for a large weapons bay and, unlike the F-35A/B/C, it can fly with 22,000 pounds of ordnance. The Russian Air Force want the Su-57 to be a superb dogfighter should it face NATO aircraft in a hot war. Hence it isn’t surprising weaponry and speed are paramount in its design rather than the US-centric obsession on undetectable stealth. Judging by what’s known about the Su-57 so far, whether or not it’s true peer of the F-22 is up for debate. It should be superior to the F-35A at least. 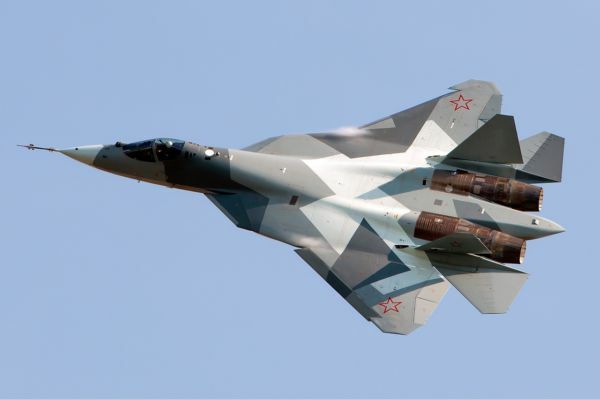 Russia always planned on co-producing its latest fighter to offset its cost. This is where India steps in. Both countries have argued over a fifth-generation fighter aircraft (FGFA) joint venture for the better part of a decade now. Yet it hasn’t been decided if the aircraft must be sold as a finished product or completely manufactured in India. India’s DRDO insists on full access to Russian stealth design, sensor integration, and data fusion, a tough bargain for a country whose aerospace sector isn’t very advanced. But just as the Rafale deal with France turned sour, resulting in 36 aircraft bought with no production transferred to India, there’s no guarantee the Russians are sharing the Su-57’s technology with Hindustan Aeronautics Ltd. (HAL). This is vexing for India since it badly needs to upgrade its air force at a time when a violent confrontation with China looms. Whether it’s about India or its engines, the arrival of Russia’s most advanced fighter yet might not be as momentous as its glowing publicity suggests. Below is a partial list of specifications for the Su-57 based on open sources.